A substantial proportion of the world’s population now live in towns and cities, so it is not surprising that urban geography has emerged as a major focus for research. This edited collection, first published in 1983, is concerned with the effects on the city of a wide range of economic, social and political processes, including pollution, housing, health and finance. 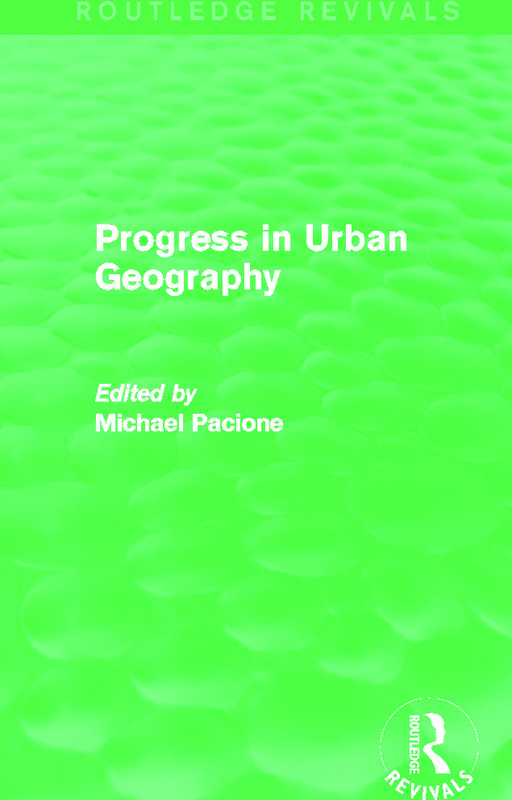 With a detailed introduction to the themes and developments under discussion written by Michael Pacione, this comprehensive work provides an essential overview for scholars and students of urban geography and planning.